Sometimes the worst thing that can happen is not with your own car, but with someone else not using their car correctly. We’re talking about when people illegally park their car on private property. Some people park their cars in a private lot, or on a fire lane, or in a lot after hours. They take the chance that nobody will notice, and when it’s your job to notice, most of you will groan. When you have to deal with this unfortunate event, who can you call? Cars Towing provides private property towing in California and Texas. Knowing that this issue is common and that nobody wants to deal with it, we take the issue out of your hands and handle it for you so that you don’t have to. You can hire us to take care of nationwide private property towing for you. The thing about private property towing in California and Texas is that it has to be performed by professionals. Not just anybody can do it – you must be certified AND licensed by a state-directed licensure and certification program. We at Cars Towing have gone through this process to receive the necessary accreditation to do the business we desire. That is why someone like you can call us at Cars Towing for your nationwide private property towing. 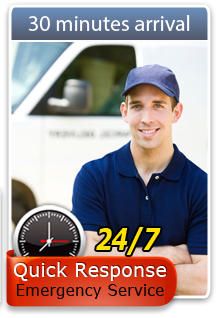 Additionally, we are reliable and efficient with our service. We’re open 24/7 for business and will be there within 30 minutes of your call to take care of the emergency, no matter whether it’s a car, motorcycle, or truck. We work with all makes and models. In addition to doing private property towing in California and Texas to ensure that all drivers follow the laws and signs and respect private property and safety, we also provide roadside assistance and towing services. No matter what you drive or what you need, we can help you out. We’ll provide car jump start, out of gas refuel, emergency car lockout solutions, flat tire change, emergency roadside assistance, and more. We also provide towing services including local and long distance towing, flatbed towing, tow dolly, winching, motorcycle towing, light and heavy duty towing, accident removal, wrecker services – the list goes on. For private property towing or any other kind of towing or roadside assistance in California and Texas, you can call us for professional assistance.